Submitted by lmcshane on Thu, 02/23/2012 - 07:31. Submitted by lmcshane on Sat, 04/07/2012 - 09:31.
mark: my point also in this story. the bid process sounds to be full of back room deals and secret nods from the bid openers to their favorite people. the key to this is the scam pulled at Metro. The ...board wanted competitive low bids that allowed a fair bid process for every job. This is "supposed" to save them money by being able to judge against peers but that is not how it worked there. Dozens of bids were won by four contractors all doing different types of work. They would be low or "best qualified" bidder and the contracts would be awarded. These guys were fed the numbers to place on their bids so they would win. The whole time knowing that they would make up the difference by Carroll just approving every change order that could equal 10, 20 or 30% increase in the bid amount. Approval was all but guaranteed as long as the contractor kicked back an amount or percentage of the change order. The key here is if the change order was done or done at a jacked up price to cover the kick back and any loss by the company for submitting the low bid. This happened in court documents with one of the contractors East West to a tune of 672,000 dollars of kick backs. This is now being hinted to happen at the juvenile justice center who had huge cost overruns approved by Jimmy and the boys last year for Blaze. Submitted by ANGELnWard14 on Sat, 04/07/2012 - 11:23. Approximately 10 years ago, I attended several bid sessions in the City of Cleveland Dept of Development offices....same protocol above-identical. Ethics, integrity, and accountability were out the door in those doors of City Hall. Administrators and Contractors alike were working with City Inspectors to execute those contracts to ensure payment and kickbacks. It was absolutely surreal. Watching that contractor smooze those same administrators and city inspectors in his business office was a final factor in my decision to move on. I don't guess I had what it took to remain in a "corrupt" and "illegal" environment... When I left-that same contractor threatened my life if I ever revealed this info....Well, I'd rather speak the truth than to worry about it. These freaks all deserve to be removed from office, humiliated for life, and incarcerated for the frauds they have committed upon our public at large. Their long term abuse, repetitive cycle, and endless social injustices need eradicated via pest control practices! Submitted by lmcshane on Sun, 04/08/2012 - 07:42. RIP School of the ARTS-VOTE NO on 107 and 108! Submitted by lmcshane on Tue, 10/09/2012 - 09:11. Visited ground zero and there is no construction activity at all--nada. 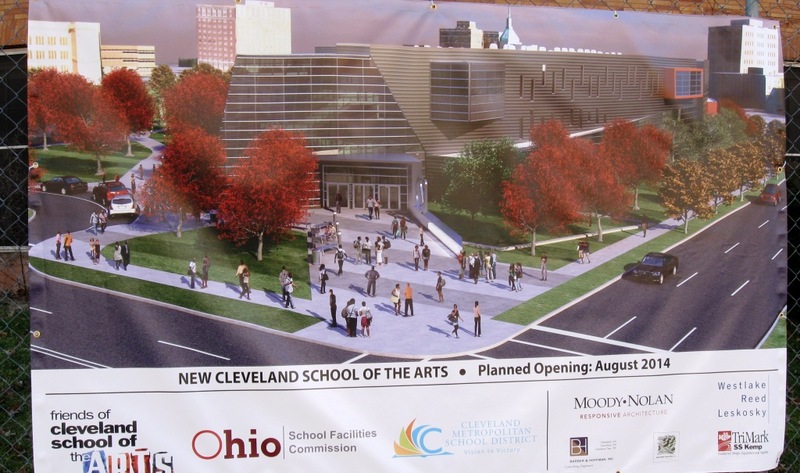 Nothing has been started and this will push the construction schedule for School of the Arts further back. 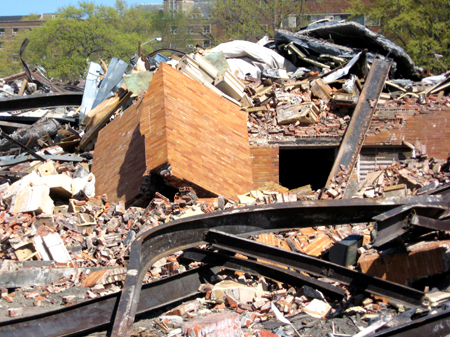 Same old--VOTE NO on Issue 107 and Save John Marshall High School from senseless destruction. Roz McAllister In the 2012 CMSD Budget, there is to be a new officer called Chief Academic Officer. This person is to make $196,275.61 plus $71,811.36 in benies. There is another $150,000.00 for "Other Prof/Tech Services". And why is there "advertising" money budgeted? There is a department with no staff, but $29,847.10 in expenses including food, travel and professional organization dues reimbursement! Here is a second department without staff and a budget of $217,568.44! IF YOU WANT TO WORK IN CLEVELAND - CHECK THE FENCE HAS "JOB OPPORTUNITIES"!